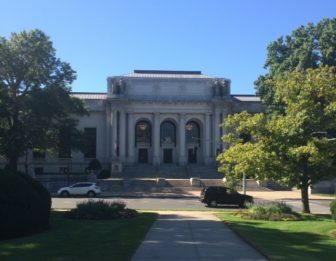 Connecticut’s high court has unanimously decided that private religious institutions in the state are not immune from lawsuits for discrimination and, like other employers, they must litigate those claims before the Commission on Human Rights and Opportunities. That decision came after Trinity Christian School in Windsor was accused of firing a teaching assistant who requested maternity leave and wasn’t married. The school initially tried to have the complaint dismissed by the CHRO, and later appealed to the Superior Court by claiming immunity before appealing to the state Supreme Court. Now, it will head back to the CHRO once again, but this time to argue the claim by its former employee. In the opinion released Tuesday, the high court said that the Superior Court had correctly concluded the law’s “plain and unambiguous terms” do not function as a grant of immunity and asserted statutes that do allow immunity from suits must be strictly construed. Trinity Christian School argued state law gives religious institutions the ability to hire and fire employees who have direct contact with students and are spreading the word of the religion — making them exempt from Connecticut’s employment discrimination act. Matthew S. Carlone, the school’s attorney, said the ruling creates a governmental burden on school’s free exercise of religion. The Commission on Human Rights and Opportunities, the defendant in the case, argued religious institutions should have to prove the employee they acted against actually was performing religious functions and that state statute does not provide the school immunity. Michael Roberts, CHRO’s attorney, said the Supreme Court affirmed the school must go through the commission’s civil rights process. Clarice Silber Clarice Silber joined The Mirror as General Assignment Reporter in November 2017. She formerly worked for The Associated Press in Phoenix as a legislative and general assignment reporter. In 2016, she conducted extensive interviews and research in Portuguese and Spanish for the Pulitzer Prize-winning investigative team at McClatchy, which was the only U.S. newspaper to gain initial access to the Panama Papers. She is a Rio de Janeiro native and graduated from the University of Maryland’s Philip Merrill College of Journalism. Following a now-familiar script, the General Assembly split along partisan lines Wednesday to approve another of the dozen or so collective bargaining agreements or arbitration awards that could come before lawmakers in 2019. State health officials have begun preparations in advance of threatened strikes planned for May 1 at 20 Connecticut nursing homes.